How can you join this live real life escape franchise??? The first step is always to get in contact with us. Email is the best way. We give you the infos needed. The second step is always to find a suitable place. We can help you pick the right one. We design you the game rooms. 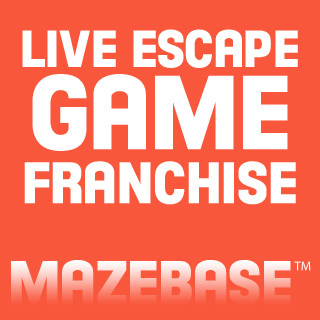 For a live escape game you will need several things. The items you need to buy are already collected and documented for each room. We already have the illustrations and supporting files to prepare the rooms. We send you these before you start the preparations. We arrive to your location with our team and start the installation of the escape game. We finish the test runs, and after that its up to you to make your new business succesful. We will support you during the startup, if you have any troubles or questions. Our thinking of franchise is a bit far from the basic idea of franchising. We do not pressure you to have our own brand or to give you a name for your business. But if you want we can can help you. We can suggest you marketing and startup steps as well as we can give you some hints about how to run this game succesfully.